Brad Channing, a Navy SEAL, and Sarah O’Brien, a teacher, become heaven’s representatives on earth. The story follows them as they individually and then together face overwhelming obstacles and eventually end up on a strategic Air Force base in California. It is there that they discover a conspiracy to assassinate the President of the United States. The terrorists have a plan for global dominance, and they are determined to complete their mission. Although military leadership appears to have the President’s best interests at heart, it is not clear who can be trusted and who should be feared. The action is rough and tumble as Brad and Sarah try to figure out the culprits of the plot that will turn into a worldwide conflagration unless stopped. I especially enjoyed the blending of genres in this book – suspense, political intrigue, and romance (but not overdone). This novel reminded me a bit of the little known movie from years ago, Made in Heaven, when two romantically involved people are sent to Earth from heaven and have a certain amount of time to find each other after being ‘reborn’. It was nerve-wracking watching how their paths came so close to crossing, until they finally did. Admittedly, their circumstances were much better than the characters in this book, and their assignment wasn’t nearly as important. Both Brad and Sarah have endured hardships in their lives, and made it through to the other side because of their strength and determination, qualities they certainly need to survive the threats they’re facing. They’re instantly likable and well-developed characters. This action-packed story moves along at a brisk pace, and the trustworthiness of certain characters comes into question, leading to some surprising twists along the way. If you’re a fan of thrillers and suspense intertwined with a bit of romance, I highly recommend this novel. I received an ARC of this book from the authors. Excellent review, Teri. 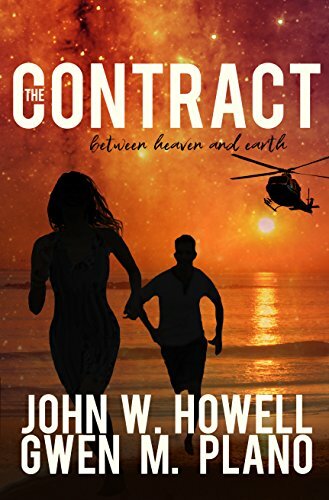 Like you, I really enjoyed the blend of genres in The Contract and the characters of Brad and Sarah. Congrats to John and Gwen! Thanks, Mae – and big congrats to them – #1 new release in their category! Thank you so much for the beautiful review, Teri. We so appreciate you taking the time to not only read The Contract but to write and publish your thoughts on the book. We appreciate you. You’re very welcome, John – and thanks for the ARC. 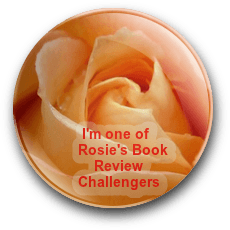 It’s a really enjoyable read – the blending of genres makes it especially intriguing. Thank you, TA. We hope it is. Fantastic review, Teri! I really enjoyed John and Gwen’s book. Thanks, Jill – they did a fantastic job. I can’t imagine trying to co-write with someone – wouldn’t even know where to start. Awesome review, Teri! Congrats to John and Gwen. The blending of genres is certainly appealing to me too, Teri. The book sounds exciting and quite a feat. Great review. Thank you, Diana. It was an amazing collaboration with Gwen. Thanks, Diana – maybe you can make room in your towering TBR! Wouldn’t want it to fall and hurt someone. I know… 🙂 I have read John’s work before and its thrilling. The collaboration sounds like a good one! Thanks for sharing your awesome review of “The Contract”, Teri! John and Gwen deserve all the accolades they are receiving for this truly memorable read. They sure do, Soooz – a highly compelling read. 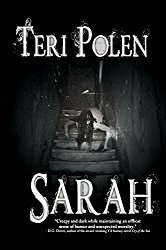 A fabulous review of John and Gwen’s new book, Teri. Thanks for sharing. Thanks, Robbie – they did a marvelous job.